Our Professional Teeth whitening includes a free consultation and is possibly the lowest and most affordable price in town from $375 (conditions apply). Why wait for results when you can have whiter teeth now? You can achieve your whitest smile in just one 45 minute visit to your dentist’s office. According to recent research by the Australian Institute of Health & Welfare, over 25% of people (above 15 years) felt uncomfortable about their dental appearance. Also, over 80% reported bad breath and yellow teeth are a major turn-off during their first date. If you’re looking to brighten up your teeth to face an upcoming job interview or a first date, don’t worry, we’ve got you covered. We are well aware of these facts and figures, so we offer affordable teeth whitening in Melbourne services. Our well trained and experienced dentists can do teeth whitening within an hour (in just a single appointment). We are pleased to provide you with advanced cosmetic whitening process in a safe and cost-effective way. As most regular kinds of toothpaste available in the market can only get rid of the external stains, it’s best to visit our dentist for real long lasting results. 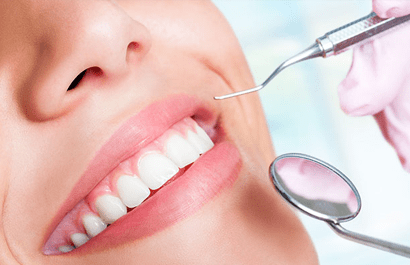 Whether you have enamel stains or your teeth are discoloured due to food or other habits, you can benefit from our teeth whitening in Melbourne. Our process is simple and quick. During your visit, we will first do a thorough examination of your teeth to ensure there are no issues to perform the whitening process. Following which we will take accurate measurements and impression of your teeth to come up with a customised treatment, which will brighten your teeth in just 45 minutes. Our teeth whitening cost in Melbourne starts from just $375, and it is quite cost-effective in the country’s culture capital, especially when teeth whitening prices in Melbourne are on the rise. Our expert dentist will prepare your stained teeth and gums for the whitening process. First, we will cover your gums to ensure the whitening gel doesn’t come into contact with them and other sensitive areas. Once set, our special whitening gel will be applied on your teeth, and we make use of the latest technology in conjunction to help with getting rid of any hard stains and discolouration. The complete process of teeth whitening in Melbourne will take less than an hour. The whitening gel will be carefully removed and applied again up to two or three times during the process to maximise its effects. Our dentist will also give you a unique kit that you can use right at home to make sure you keep your bright smile. It consists of customised trays for your teeth, along with all the details you’ll require to keep your bright smile for a long time to come. Smile confidently with your bright white teeth in no time. Opt for our top quality dental work and pain-free teeth whitening in Melbourne. Call us now to book an appointment and get the look your tooth deserves. How do I brush my teeth? How long should I brush? You should brush your teeth for two minutes, twice a day with fluoride toothpaste. Choose a soft-bristled brush that fits your mouth and place the toothbrush at a 45-degree angle to the gums. Gently move the brush back and forth in short, tooth-wide strokes. Brush the outer surfaces, the inner surfaces, and the chewing surfaces of your teeth. To clean the inside surfaces of the front teeth, tilt the brush vertically and make several up-and-down strokes. Brush your tongue to remove bacteria and keep your breath fresh. Yes! Flossing is an essential part of any oral health care routine. It’s recommended to floss at least once a day to achieve optimal oral health. By flossing daily, you help remove plaque from the areas between your teeth where the toothbrush can’t reach. This is important because plaque that is not removed by brushing and flossing can harden into calculus or tartar. Flossing also helps prevent gum disease and cavities. Are teeth whitening products in Melbourne more effective on teeth with stains of certain colors? Yes. Yellowish teeth respond well to bleaching, brownish-colored teeth respond less and grayish-hue or purple-stained teeth may not respond well to bleaching at all. Blue-gray staining caused by tetracycline is more difficult to lighten and may require up to 6 months of home treatments or several in-office appointments to successfully lighten. Teeth that have dark stains may be better candidates for another lightening option, such as veneers, bonding, or crowns. Your dentist can discuss the options and costs related to teeth whitening in Melbourne that best suited for your situation. This will vary from client to client and greatly depends on the types of foods and drinks you include in your everyday diet. This also greatly depends on your general dental hygiene habits. The effect of this bleaching process will last from 6 months to a year. Again, depending on your habits, periodic touch up treatments may be recommended for those who drink coffee, smoke, drink red wine, iced tea, colas, and other staining foods. Since the teeth whitening prices in Melbourne is less, anyone who is in need of teeth whitening could undergo this procedure. How often the teeth whitening in Melbourne need to be touched up? Whitening is not permanent. Typically, most people like to whiten again every 3 to 6 months. People who expose their teeth to a lot of foods and beverages that cause staining may see the whiteness start to fade in as little as 1 month. Those who avoid foods and beverages that stain may be able to wait 1 year or longer before next teeth whitening treatment in Melbourne or touch-up is needed. What is involved in having a dental implant? Dental implant is screw-shaped titanium metal used to replace a missing tooth. It is an artificial tooth that acts similar to your natural tooth. Dental implant procedure involves three steps. In the initial stage, the implant screw is placed surgically into your jawbone. After a suitable healing time, a simple second stage procedure is complete to expose the buried implant. But the healing time varies from each person. Finally, the artificial tooth or the crown is made and screwed or cemented to your implant. In general, if a person is well enough to undergo the necessary treatment for routine tooth extractions or fixed bridgework, then they can undergo cheap dental implants in Melbourne. Also, patients may have general health conditions that would contraindicate implant procedures, but this is unusual. After a thorough examination and discussion, your dentist will determine the best form of an implant for your issue. The amount and location of available bone is usually the major determinant as to which implant system is to be used, or whether you are a good implant candidate. By undergoing dental implants in Melbourne, you can gain the following benefits. As we know, most dental problems stem from improper home care or lack of treatment when needed. The same holds true for dental implants in Melbourne. No one can give guarantees because the health of a person is dependent upon many factors which are out of the control of one’s dentist, e.g. proper nutritional needs being met, proper hygiene, genetics, disease processes which might occur. So the dental implant success can be influenced by the way you take care of your implant, oral hygiene and the quality of practitioner that you have chosen to do your implants. But, with proper care, maintenance, and routine dental check-ups, your dental implant can last a lifetime. Absolutely! Dentures are most patients’ nightmare due to the difficulty in wearing and the effect on all aspects of life. Small dentures can be replaced with just a few implants, or full dentures can either be held in position with implants or replaced with implants altogether. The dental implants cost in Melbourne depends on various factors such as the number of implants, the severity of the issue and more. But, surely the dentures can be replaced by dental implants. Do wisdom teeth always cause problems and need removal? No. For many people, the wisdom teeth erupt fully into the mouth that is fully functional and behaves exactly like any other tooth. If the wisdom tooth remains fully buried, often it can be left alone if it is expected not to cause any dental issues. If your wisdom teeth are diseased or potentially problematic, then you need to undergo wisdom tooth removal. Due to the wisdom teeth removal cost in Melbourne, most people hesitate to undergo the procedure. But, nowadays, most dentists offer wisdom teeth removal at an affordable price. What are the reasons for wisdom tooth removal? Your wisdom teeth may need to be removed for a number of reasons, and a few are mentioned below. Why are wisdom teeth more difficult to remove than other teeth? Wisdom teeth do not often grow in like your other teeth. If the tooth is not yet erupted, it will require an incision in the tissue before accessing the tooth. If your wisdom teeth are impacted, they may have a more angled position and will need to be sectioned into pieces during the removal of wisdom teeth in Melbourne. Also, it is necessary to consider the wisdom teeth’s root anatomy. Wisdom teeth typically have multiple roots, and they can be shaped in a variety of ways, as well as grow separately or fused together. If your wisdom teeth have irregularly shaped roots or curvature, then it can be more difficult, especially on the lower jaw, because of its relativity to the nerve. What is the recovery period for wisdom teeth removal procedure? After the wisdom teeth removal procedure, you can expect some swelling, soreness, bruising, bleeding, limited mouth opening, etc. It can be controlled with the prescribed pain medications given by your dentist. By following the aftercare instructions provided by your dentist, you can speed up your recovery process. What can I do to help my recovery go more smoothly? To make your wisdom teeth recovery more smooth, it is important to follow all the post-surgery instructions provided by your dentist. Use clean gauze as it helps to stop any bleeding from the tooth socket after the wisdom tooth removal in Melbourne. Applying an ice pack to the surgical site on your face can help you reduce swelling. It is necessary to follow the post-surgery instructions about what to drink, eat; typically liquids and soft foods are best for a few days. Avoid rinsing, spitting, or sucking anything through a straw. It’s ok to brush your teeth, but be careful while brushing near the extracted teeth. Also, make sure that you take antibiotics and other medications regularly as prescribed by your dentist. Is invisible braces treatment painful? Invisible braces treatment can move your teeth without the pain and anxiety of other teeth straightening methods. But each new stage of treatment, some people might experience temporary, minor discomfort for a few days in the beginning. This is normal and is typically described as a feeling of pressure. It’s a sign that the invisible braces are sequentially moving your teeth to their final positions. This discomfort usually goes away a couple of days after you insert the new aligner in the series. The Invisible braces system offers amazing benefits that are unmatched by traditional dental braces, and few of them are mentioned below. Invisible braces in Melbourne are nearly invisible. Even the person opposite to you can’t notice that you are wearing the invisible brace, making them a seamless fit with your lifestyle and day-to-day interactions with others. Invisible braces are removable and give you the flexibility to drink and eat what you want during treatment by simply removing the braces. And you can also remove the aligners to brush and floss as you normally would for fresh breath and to maintain good oral hygiene. Unlike traditional metal braces, there are no metal brackets or wires. This means that in most cases, less time is spent in your invisible braces provider’s practice for adjustments. As with other types of orthodontic treatment, the invisible braces cost in Melbourne dependent on the complexity of your issue and your course of treatment. As a general rule, the cost is comparable to traditional fixed braces. At No Gap Dentists, the cost of invisible braces Melbourne start at $1650 for both arches. The maximum price for any Invisible or clear aligner treatment is $4850. How does an invisible brace work? Invisible braces move teeth with appropriate placement of controlled movement on the teeth. Unlike traditional braces, invisible braces in Melbourne control not only the amount of movement per aligner but also the timing of the movement. So at each stage, only certain teeth are allowed to move, as per the invisible braces treatment plan for that particular stage. This results in an efficient force delivery system that moves teeth into the desired prescribed position. Will wearing invisible braces affect my speech? Similar to other orthodontic treatments, the invisible braces may temporarily affect the speech of some people for a day or two. However, as your tongue gets used to having aligners in your mouth, minor speech impediment caused by the aligners will get disappeared. You can speak to your doctor about ways to help you get used to your invisible braces more quickly. What will happen if I don’t have my impacted wisdom teeth removed? If you have impacted wisdom teeth, it is wise to get them removed. Though they might not give you severe symptoms in the beginning, they are silently progressive and ultimately cause severe pain after it has damaged the surrounding teeth too. Here are some of the problems that might arise if you do not have your wisdom teeth removed. You may encounter pain or soreness in your jaw, ear, throat, or on the side of your face. The bacteria triggered by the infected wisdom teeth may spread throughout the body, affecting various organ systems and overall health; this is dangerous for people with weak immune systems. Jaw cyst, Pericoronitis and increased risk of jaw fracture. With impacted wisdom teeth, you might face difficulty with normal bite, and place excessive stress on the jaw muscles and joints in mouth. Hence, it is better to opt for a wisdom teeth removal Melbourne. The expert dentists will carefully remove your wisdom teeth in a painless way and help you escape from the problems caused by the wisdom teeth. Do I have to undergo pain during wisdom teeth removal? Not at all! The experts at wisdom teeth removal in Melbourne, work on this perfectly with the right anaesthetics, and you wouldn’t feel any pain as your wisdom teeth is removed, as the area will become numb. The time to remove the tooth might vary, simple procedures take only a few minutes, but if it is complicated, it might take a longer time. If you are anxious about the procedure, discuss with your surgeon, as he might help you with sedatives to relax. After the removal of Wisdom teeth in Melbourne, your doctor might help you with medications, that will ease you from pain and help you recover soon. How much does Wisdom teeth removal cost Melbourne? If you take the Wisdom teeth removal cost Melbourne into consideration, you will notice that we offer affordable prices on dental services in the city. We offer competitive prices and concurrently reduce the financial burden of teeth maintenance for our customers. We go the extra mile in ensuring that we meet all your dental needs satisfactorily. Your wisdom tooth might get infected because of their position in the mouth. Since they are at the back of the mouth, they are very hard to reach with toothbrush & floss. They are frequently neglected from getting a proper clean. This promotes the growth of bacteria and the accumulation of debris and plaque between the teeth. Sometimes, the wisdom teeth might also cause pain in the entire jawline, and throat. You might also get sore throats and swollen lymph glands under the jaw. Your face might swell up, and you might get a bad smell or taste in the mouth because of pus drainage in the mouth. You might feel difficult to chew or eat then. If you have the above mentioned symptoms or if you are doubtful that you have infected wisdom teeth, visit your dentist specialised in wisdom teeth removal Melbourne. He will help you get rid of the infected wisdom teeth. Do impacted wisdom teeth cause Sinus problems? Yes, Wisdom teeth can cause sinus problems! This does not happen with everyone, sinus problems caused by the wisdom teeth can create severe headaches to stuffiness. The issue begins when the wisdom teeth starts to grow on the upper jaw. They are located back in the mouth below the sinuses. As the teeth begin to grow, and the roots develop they push besides the sinuses present right above and behind the teeth. This causes pressure on the sinuses, resulting in headaches and stuffiness. It is better to opt for wisdom teeth removal Melbourne, if you experience severe headaches and stuffiness. I want dental Implants, What should I do next? If you are looking to have dental implants, visit your dentist specialised in dental implants in Melbourne. He or she will help you with your request and examine your current oral condition and your past health records, helping you make an informed decision. Call 1300 320 881 for more details on dental implants! Why is Titanium used in the Jawbone for Dental Implants? Titanium is known for its biocompatibility. Means, the surrounding nerves, tissues, gum and bone will form a strong bond with the titanium implant. Hence it holds a prominent place in the Dental Implants process, as it proves to offer a permanent replacement for the lost root structure. Not just the biocompatibility, titanium is also a durable material, which allows full functionality and the strength of a real tooth, posing the best support for crown. Call 1300 320 881 to know more about dental implants in Melbourne. How many visits does the dental implants process take? The number of visits for the dental implants treatment differs from case to case and the complexities involved in the treatment. However, for those with complicated implant cases can take a few more visits. When you visit your dentist, he will provide you with a personalised treatment plant, which will involve the duration of the procedure, the procedure involved in each stage and the dental implants cost in Melbourne. How do I clean my New Dental Implants? The dental implant teeth, is similar to that of a natural teeth. It is important that you regularly clean the implant-supported restorations with a good toothbrush and floss properly. You should also frequently visit your dentist to maintain the hygiene of your newly implanted teeth, as he will make any adjustments to the teeth, if it has to be done. It does not matter whether you carry out your dental implants surgery in an expensive centre or you opt for cheap dental implants Melbourne, keeping your newly implanted teeth hygiene matters! I am 60 years old. Am I an old candidate for Dental Implants? Your age does not matter for dental implants Melbourne, unless your overall health cooperates. Nearly everyone who has lost their teeth and is in good health is a candidate for the dental implant treatment. Still, there are a few medical conditions, like diabetes, which can determine the feat of the implant treatment. Call 1300 320 881 to know more about dental implants.